>Garcinia cambogia may promote fat loss, but scientific evidence is inconclusive. Inhibitting lipogenesis. HCA is suggested to block ATP citrate lyase, an enzyme required for converting carbs into fatty acids. Increasing fat oxidation during exercise, potentially promoting healthy weight management. Garcinia cambogia is a pumpkin-like fruit native to India and Southeast Asia that has historically been used as food and wellness herb. 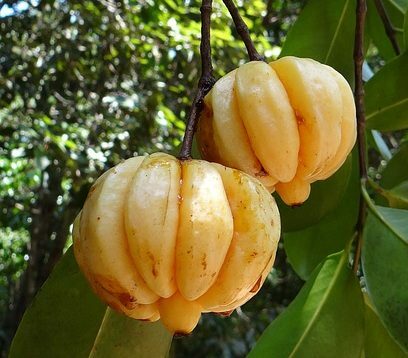 Among its many purported benefits, Garcinia cambogia is perhaps most popular for its inclusion in weight loss supplements thanks to its hydroxycitric acid (HCA) content. The weight loss effects of HCA have been well documented in animal studies. Despite this, most human trials show that HCA found in Garcinia cambogia extract possesses limited and unreliable weight loss effects. According to numerous animal studies, HCA blocks the conversion of carbohydrates into fats, a process called de novo lipogenesis. HCA achieves this by inhibiting the enzyme known as adenosine triphosphate citrate lyase (ATP citrate lyase).2 However, this process does not make a significant contribution to body fat in humans, which might explain why animal studies show far more impressive weight loss. 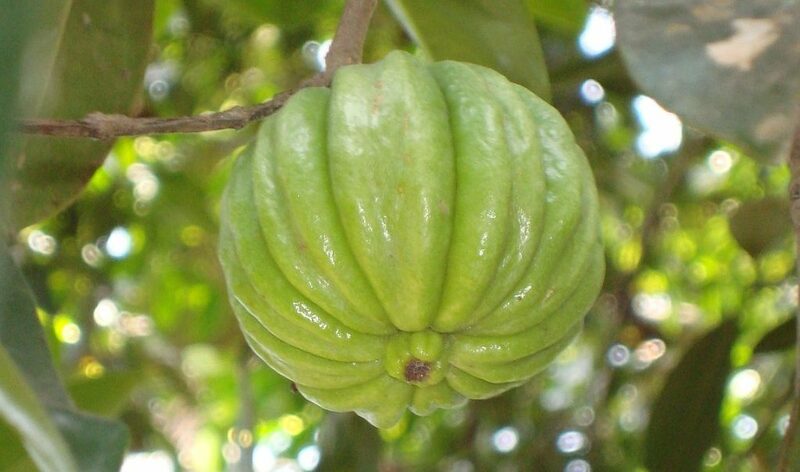 rong>Garcinia cambogia is a popular weight loss supplement ingredient. Indeed, it was originally considered yet another miracle weight-loss drug promoted by Dr. Oz. However, it has failed to live up to the hype, since its weight loss effects are weak at best and non-existent at worst. Animal studies of garcinia cambogia extract and HCA as a weight loss agent were successful enough to inspire a large number of human trials. In this study, researchers fed 24 male rats with a restrictive diet for 10 days, followed by a high-glucose diet supplemented with HCA for six days. Both respiration quotient and energy expenditure decreased during the first two days of supplementation, indicative of a decrease in fatty acid synthesis. HCA also suppressed food intake during the first three days. The researchers divided 36 obesity-prone male mice into three groups, with the first being fed a normal diet, the second a high-fat diet, and the third group a high-fat diet along with Garcinia cambogia extract. At the end of the experiment, the third group had lower body weight gain, abdominal fat accumulation, and lipid and insulin levels than the other groups. Furthermore, the extract reversed adipose (fat) related genetic changes induced by a high-fat diet. 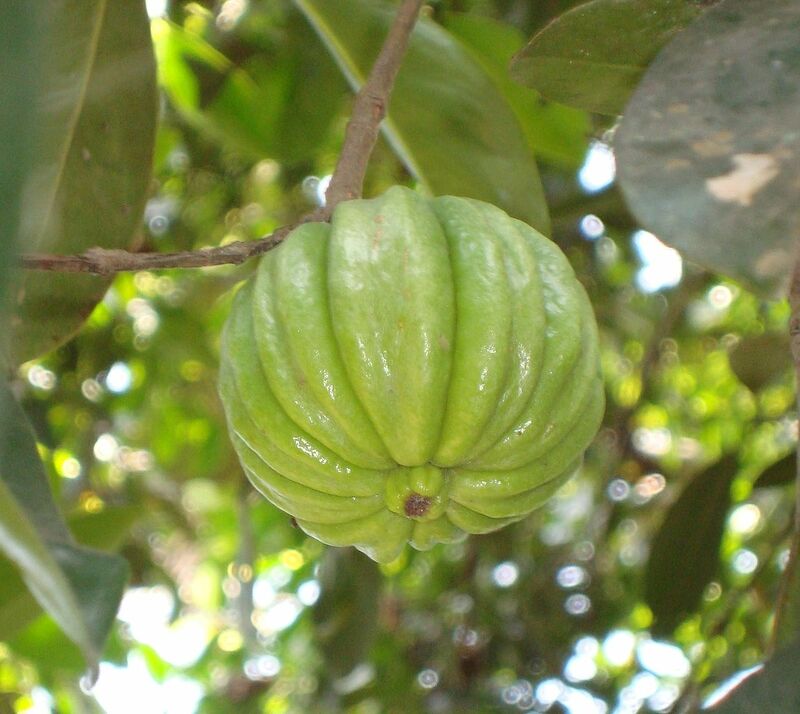 e animal research, human trials of garcinia cambogia show mixed results. Even in the positive studies, the weight loss effect was relatively minor and has only been tested in the short-term. In this influential, randomized, double-blind trial, 135 overweight people took either HCA (1500 mg) or placebo daily for 12 weeks while following a high-fiber, low-energy diet. Although both groups lost weight by the end of the study, there was no significant difference between them. This randomized, double-blind, crossover study tested the hypothesis that HCA might promote weight loss by affecting energy expenditure (EE) and fat oxidation in 10 men. The men were given placebo or HCA (3 g) daily for 3 days, and had their EE and fat oxidation tested with or without 45 min of aerobic exercise. The study found no significant differences between placebo or HCA in either case. In this randomized, double-blind study, 44 people were treated with Garcinia cambogia extract (1000 mg HCA) or placebo daily for 12 weeks. At the end of the study, the Garcinia group saw significant reductions in body fat compared to placebo. For this randomized, double-blind clinical trial, 60 moderately obese subjects were divided into three groups. The first was given hydroxycitric acid (HCA 4667 mg) before meals, the second was given HCA (4667 mg) plus niacin-bound chromium (NBC) and gymnema sylvestre extract (GSE), while the third group received placebo. After eight weeks of treatment, both HCA groups had a significant reduction in body weight, BMI, food intake, total cholesterol, low-density lipoproteins, triglycerides, and serum leptin levels compared to the 3rd group. However, the effects were more pronounced among the second group participants. In this double-blind trial, six untrained men were given 500 mg of HCA or a placebo for five days and underwent moderate endurance exercise. The results showed an increase in the free fatty acid concentrations in the bloodstream, as well as a decrease in respiratory exchange ratio, indicating an increase in fat oxidation and sparing of carbohydrates as an energy source. strong>Garcinia cambogia extract containing 500 mg HCA, 1-3 times daily. Garcinia cambogia’s weight loss effects are unreliable and inconclusive. The research that exists seems to suggest that G cambogia’s weight loss effects are not nearly as strong and reliable in humans as they are in animals. But if you do decide to give it a try, it’s a good idea to combine it with exercise, since it has been shown to increase fat oxidation during physical activity. 500 mg of HCA seems to be the minimum dose needed. Although clinical trials have used a large range of doses, it seems that Garcinia cambogia extract containing roughly 500 mg HCA is a good starting point. If you find that it works well, you can consider moving up to 3 daily doses.